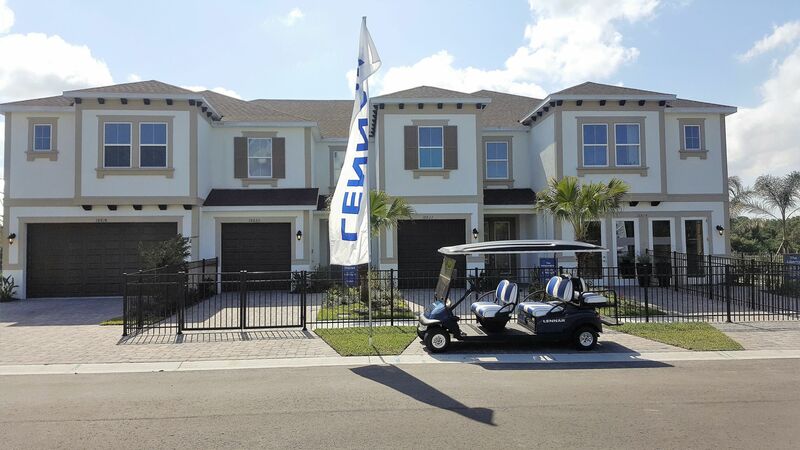 Sylvan Crossings is a gated community of townhomes in the desirable suburb of Lutz, less than a mile from the Veteran's Exy making it very convenient to all that Tampa has to offer. It's zoned for excellent schools. Unlike many other new communities, there is no CDD fee and there is only a modest monthly HOA of $178/month. There are 3 models starting in the mid-$200s ranging from 1597 through 1807 square feet. The community features a pool and clubhouse.